It's easy to get caught up with the new faces that steal headlines every season. 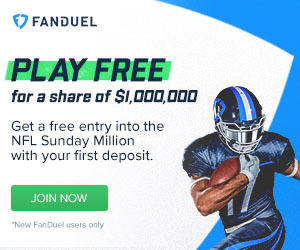 Big name draft picks that many will wager on being the answer to a successful fantasy season. Others will flock to unproven players in ideal situations to have breakout seasons. While you may need a few unexpected breakout players to find your way to a championship, the real key to success is simply consistency each week. This means in the majority of your draft you're going to be aiming for guys who have proven they can deliver. Time to roll out the veterans. During a draft, I typically like to use the first round as a means to snag an elite and safe running back. The first round can truly make or break the strength of your team. Look at those who took Montee Ball confidently last season or the many that jumped on Le’Sean McCoy first overall. The puzzling task becomes deciphering which player will give you that much needed dependability week after week. While you shouldn’t expect him to be drafted in the top five anymore, I do believe that Forte represents an elite, safe option in the middle to late parts of round one. Last season Forte finished as the 4th overall RB in standard leagues and 3rd in ppr leagues. He tallied up 1,038 yards on the ground with 6 TDs. It was his record breaking 102 receptions for 808 yards and 4 TDs that was truly impressive though. Forte has been nothing short of dependable since joining the league in 2008, especially when you consider he has only missed five games his entire career. He has never finished outside of the top 20 and over the past two seasons has turned in top five finishes. However, the consensus is that best may be behind him with the departure of coach Marc Trestman. Should you worry about Forte being your RB1 this season? Not at all. 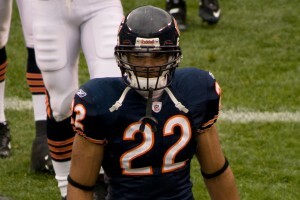 Chicago’s new head coach, John Fox, has mentioned that we could see a more restricted workload for Forte this season. Yet, it’s easy to believe that the Bears will try to take the ball out of the hands of Jay Cutler as they lean more towards a run heavy offense. The team has brought in Jacquizz Rodgers in the off season, plus Ka’Deem Carey is still there as well. Despite the presence of the other two backs, Forte should still get 260-280 carries this season as he’s a veteran with the most talent of the group. Don’t forget about the receptions. While it’s highly doubtful that we see him post anywhere close to his 102 catches from last year, 50-55 catches should be his floor and 75 catches shouldn’t surprise anyone (in his worst season Forte still caught 44 passes). Many were concerned by his 3.9 YPC average last season, rationalizing that his age and heavy usage may be foreshadowing a big decline on the horizon. We’ve seen him bounce back strongly before though, making it a safe assumption for his YPC to rise back up over 4.0 this season. While he may not be as flashy or have as much upside as some of the other early round one guys, I do believe he remains one of the safer options. He’s got a great chance at another top five finish so don’t be afraid to pull the trigger on him, especially if he slips a bit. 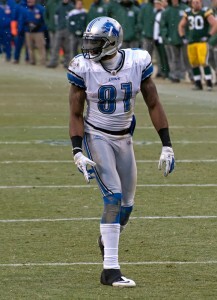 Can Calvin Johnson return to the top of all receivers? If you were to imagine the build of a perfect NFL receiver, they would probably look a lot like Calvin Johnson. 6’5, 235 lbs with crazy speed and elite athletic ability. Over the past four seasons Johnson has finished as the number one receiver twice. In 2013 he battled some minor injuries, missed two games and still managed to finish 3rd among all receivers. However, last season had to be frustrating for all Johnson owners. He missed a couple games with an ankle injury then was used merely as a decoy in a few others. Still, he found a way to put up a respectable 71 catches for 1,077 yards and 8 TDs. It’s not been uncommon to see Johnson falling outside of the top five receivers on many draft boards in this early preseason. I think that's all wrong. There are some that seem a bit worried about Johnson’s age, yet the NFL has been kind to elite receivers in terms of longevity. It’s not uncommon to see receivers play at a high level well into their mid 30s. Johnson will indeed turn 30 this season, though that age historically doesn't contribute to a decline in performance. Some lean towards the argument that he may be more injury prone considering the last two seasons but I don’t buy that. He hasn’t sustained any major injuries over his career that should lead you to believe that he’s now a fragile player waiting for one big hit to be broken for the season. Johnson remains an elite level talent that is always a candidate for 150+ targets as Matthew Stafford loves to throw him the ball (even if he risks getting picked off throwing by into triple coverage). Johnson enters the season fully healthy and is going to be the main focus in Detroit’s passing game like usual. Look to him to be a top candidate for double digit touchdowns if he can stay healthy. You may be able to get him at a ridiculous value in your draft but don’t wait long enough to let him slip. You could make a case for about ten different receivers to finish first this season; Johnson has one of the strongest cases. Will Tony Romo move into the top five? * He has finished as a top ten QB in 4 of last 6 years. * Despite Dallas having an elite run game with over 500 rushing attempts last season, Romo still threw 34 TDs. His highest TD total since 2007. * His 3,705 passing yards were his lowest in the past 4 seasons but his completion rate of 69.9% was a career high. Dallas ran the ball a staggering 508 times last season compared to 336 times in 2013. DeMarco Murray shredded defenses on the ground as he rushed 392 times behind an elite offensive line. He is now gone and the Cowboys in my opinion don’t have a RB that will even come close to what Murray accomplished in 2014. Therefore we can rationalize that Romo is going to see a big uptick in passing attempts this season, especially with a mediocre defense that could leave them trailing in games. 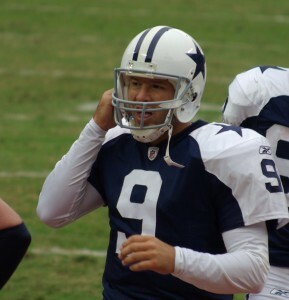 It’s fair to theorize that Romo is a lock for another top ten finish if he stays healthy. Just think, if he can get his yards back over 4,000 and notch another 30+ TDs, he could be staring down a top five finish. If you can, grab him late in your draft and reap the rewards. The tight end position is indeed a tricky one this season. The top two guys are commonly agreed upon as Rob Gronkowski and Jimmy Graham. Yet, you may not want to risk a high draft pick on these guys. Then there is Greg Olsen, Travis Kelce and Martellus Bennett but even these fellas are going to cost you a pretty penny in most drafts. So what about those waiting to grab a TE late? Many are looking past Jason Witten and that could be a mistake. The idea of Witten having a solid comeback is tied to the theory that Dallas is going to be passing a lot more this season. Last year he saw his lowest yardage and reception total since 2006 but still managed to come down with a respectable 5 TDs. It wasn’t that his talent faded but that Dallas threw the ball much less than previous years. He’s a bit older at 33 although he’s still catching the ball efficiently, grabbing 71% of his targets last season. Also consider he’s played 16 games each season since 2004, that’s an insane bill of health for a player in the league this long. Witten isn’t a guy that’s likely sitting on a massive , career stat line this season but he’s someone that you know is going to be targeted 5+ times every week. Plus I like the idea of him in the red zone this year with Murray gone. He’s a lot safer pick than some of the players being drafted before him so don’t be scared to grab Witten if you’re looking for a solid TE in the later rounds.